Blue Ridge Electric is warning of yet another scam targeting their members. The company has received numerous calls that members are getting suspicious phone calls that are scams. The caller is posing as Blue Ridge Electric, threatening to disconnect power unless immediate payment is made and is giving a fake phone number to call. Blue Ridge Electric reminds everyone that they do not make calls or demands like this. 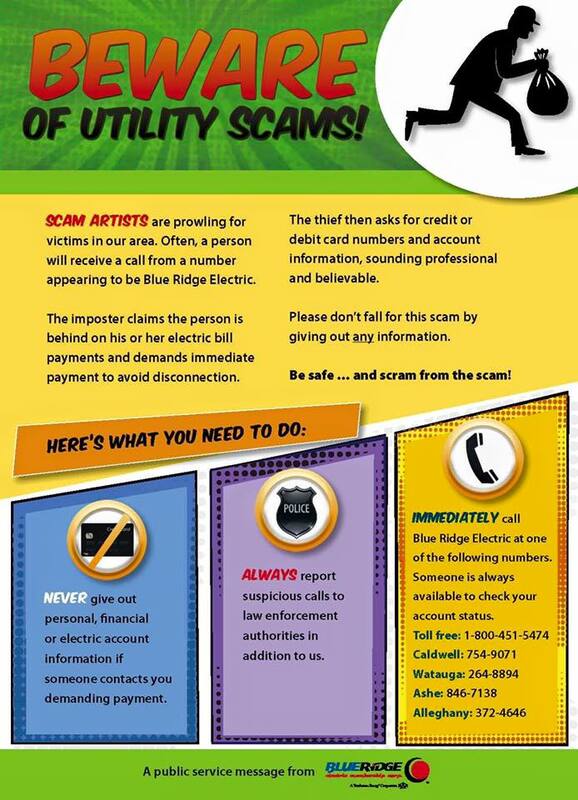 If you receive a suspicious call, hang up immediately and call Blue Ridge Electric at 1-800-451-5474.